As one of the world’s largest Windows web hosting companies, 1and1 focuses on reliability and innovation to continue their rise to the top of the industry. The company has more than 70,000 servers in various locations around the world, and features some excellent customer support and uptime figures. Let’s take a closer look at 1and1 and their Windows hosting. 1and1 offers the longest money back guarantee we’ve seen at 90 days. Their starter Windows hosting package is geared to move you up into a more expensive package as your site grows. One of the better features of 1and1’s Windows hosting is that they offer a “no questions asked” 90-day full money back guarantee. This gives you the chance to get in there and test things out for a couple of months without having to worry about being locked in to a contract or having to try to argue with someone to get a refund. According to a few different sources, 1and1 has been operating with a 99.99% uptime record for at least the past few years. This is excellent and those who are interested in going with 1and1 shouldn’t be worried that their websites will be down much (if at all) throughout the year. 1and1 offers users access to their own custom control panel which is where everything to do with your account is administered. Some individuals love using 1and1’s Windows hosting control panel, while others would prefer they used an industry standard like CPanel or something similar. If you’re hesitant about learning a new control panel, you may want to consider another host. However, if you’re fine with taking a few minutes to work your way around 1and1’s panel, you should be fine. 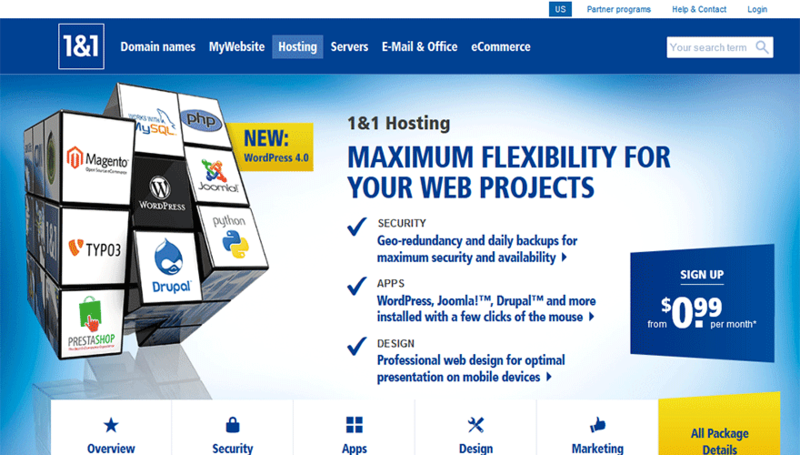 Other than that, their Windows web hosting should be as easy to use as any other provider’s. 1and1 offers toll-free technical support 24 hours a day, 7 days a week. This is an excellent selling feature and one that should probably be standard throughout the Windows web hosting industry; unfortunately, it isn’t. Another bonus is the company’s “Netviewer” system, which allows the technical support representative the ability to see exactly what you are seeing on your screen, which can help them diagnose and fix the problem a bit faster. For those individuals that prefer to work their troubles out on their own, 1and1 offers a comprehensive “Frequently Asked Questions” section along with a huge knowledgebase of past issues and fixes for them.